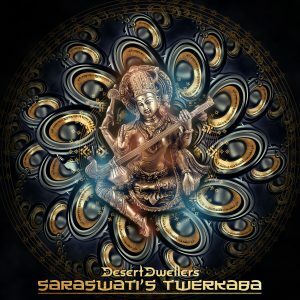 Desert Trax is thrilled to bring fans a star-studded remix pack for ”Saraswati’s Twerkaba,” the smash lead track from Desert Dwellers’ Clear Path compilation, which was originally released in 2016 by Sofa Beats. The exotically innovative original from Amani Friend and Treavor Moontribe sees the Desert Dwellers blending their signature downtemple dub sounds with global club flavors. It was inspiration enough to draw in a wide range of remixers amped to take on the task.